When it comes to keeping marble countertops looking new, a little prevention goes a long way: Place trivets under hot pots and pans, set coasters under glasses, use cutting boards when slicing food and wipe up any spills immediately. Marble is prone to etching, so be especially careful with acids—that means pour orange juice carefully and don’t wipe down the counters with vinegar. Wipe the countertop with a soft cloth and warm water daily. 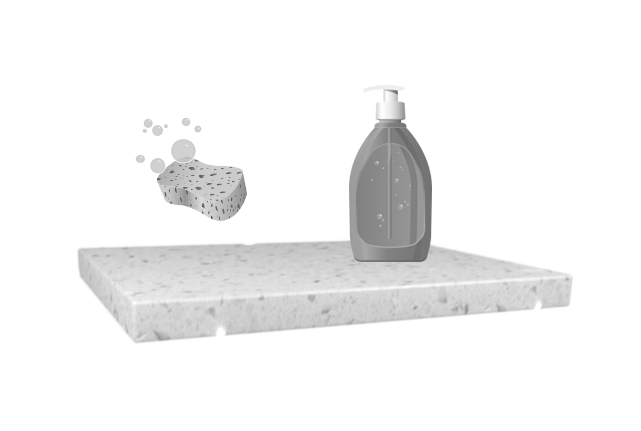 Mild household cleansers are suitable, but you can also find cleaning products specific to marble. Certain oils and acids can stain. Marble should be resealed periodically. In general, embrace the patina and minor imperfections marble countertops gain over the years. The Bottom Line, Marble is a luxurious surface that lasts a lifetime. While pricey and not the most durable choice, the smooth and cool surface is an excellent choice for a baking center or pullout slab.